With the MLB Winter Meetings about to get underway, the chatter surrounding free agent Bryce Harper is bound to heat up. There have already been a few teams that have seemingly taken themselves out of the race. However, there are still several competitors that figure to make serious offers. Let’s take a look at where each team stands as we head into the Winter Meetings. The Dodgers were among the early favorites for Harper and they remain in the middle of everything. Money usually isn’t an issue with Los Angeles, nor is a willingness to do whatever it takes to win. One thing to watch with the Dodgers is that they have a rather crowded outfield. If they start pulling the trigger on trades involving Yasiel Puig, Joc Pederson, or Matt Kemp, it could be a good indication that they believe Harper is coming their way. The Phillies have already been busy this offseason, but those moves actually make it easier to sign Harper. By trading away Carlos Santana to acquire Jean Segura, the Phillies are now able to move Rhys Hoskins to first base. That opens up a spot in their outfield. That trade also freed up some money, at least in the short-term. Of course, Philly’s stance since the beginning of the offseason is that they’re prepared to spend a ridiculous amount of money. Some reports are putting the White Sox as the third team in the running for Harper behind the Dodgers and Phillies. The club is currently rebuilding, but that means they have money to spend. Obviously, they would love a superstar like Harper to build around. The White Sox reportedly sent Hall of Famer Jim Thome as part of the team’s contingent to meet with Harper, so there should be little doubt that they’re serious about him. If Harper wants to win right away, Chicago is not going to be where he signs. But the White Sox have a loaded farm system, so with or without Harper, they’ll be ready to compete within the next couple of years. The Yankees are the so-called wild card in the Harper sweepstakes. They don’t necessarily need him given the talent elsewhere on their roster. But they are clearly committed to chasing a championship and Harper would certainly help make that happen. Finding the money usually isn’t a problem for the Bronx Bombers, even if it requires moving some other pieces. Right now, New York isn’t the most likely destination, but it’d be a little surprising if the Yankees didn’t make a serious effort to sign him. It’s still too early in the game to count out a team from the periphery making an offer that Harper can’t refuse. We can all but rule out the Cardinals, who just landed Paul Goldschmidt. The Nationals have also hinted that a reunion is unlikely. However, the Astros could be a team to watch. The Cubs and Padres are also expected to be in contact with Harper and could end up making a serious offer. 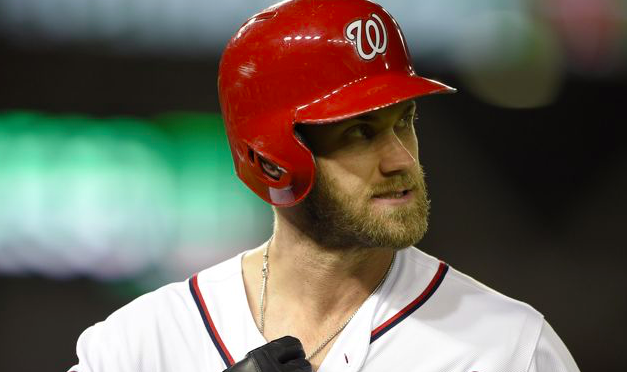 However, at the moment, it appears to be the Dodgers, Phillies, and White Sox as the teams most likely to put on the full-court press to sign Harper.